This would of made a HELL of a double LP. To my ears the sound gets a little homogeneous after the first few discs. Take the best 12-15 tunes from the the 5LP's and you may just have a all time classic! Packaging not as good as it could have been, shame on Stones Throw. 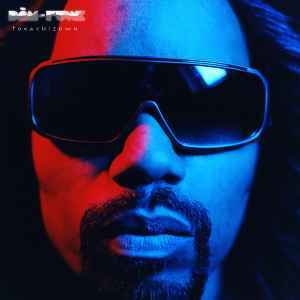 Refreshingly funkalicious robot funk from the funkiest person out there doing it right now, Dam Funk. This album has no loops, no samples, everything is played live, think George Clinton vs S.O.S. Band vs Juan Atkins vs Slave vs Egyptian Lover, it truly brings you back to the days of old. Don't worry now, even though it's as good as the electronic music of times long gone and produced with the classic machines we all know and love, it still sounds as 2009 as it can get. Album of the year without a doubt and meant for those who know.